I’ve spent more than two decades living in one of the most diverse cities on the planet, and I am a naturalized US citizen. As a result, I think I know pretty well what the word “immigrant” means. 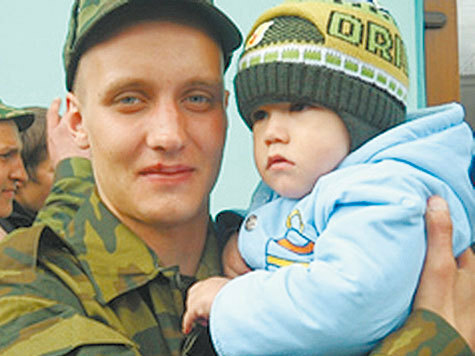 On May 19, 2008/9, Roman Suslov, a twenty-one-year-old conscript, left his native city of Omsk to join his unit in Bikin, a small town on the border with China, in the province of Khabarovskiy Krai. At the crowded train station, he said his good-byes to his mother, his fiance Oksana and his infant son. For the first three days after his departure, Roman sent Oksana upbeat text messages, but when she phoned him on the morning of the fourth, he muttered that he was in fear for his life. “They will murder me or cut me,” he said through the crackle of his dying cell phone battery. “My lieutenant,” he replied — and then his phone went dead. A few hours later, Roman called Oksana from a different cell phone, one he was able to get from a friend. He told her that he had been segregated from the other men for some reason. He was also being denied food and water, and guards escorted him whenever he went to the bathroom. The call ended abruptly, and when Oksana dialed back the number, the owner of the cell phone picked up.